On Thursday, September 21, 2017, the Central Bank of Nigeria (CBN) will offer for sale treasury bills worth N140.9 billion. At the auction, the apex bank will offer N28.12 billion of three-month debt, N23.68 billion of six-month bills and N89.08 billion in one-year notes. Thursday’s sale is the last for the month of September, according to calendar for the issuance of treasury bill for the fourth quarter of 2017 released by the CBN. Business Post gathered that the apex bank will conduct the exercise using the Dutch auction system. Settlement will be made on Friday, which is the next day after the auction. 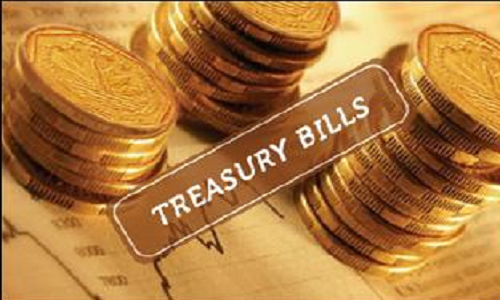 The country’s chief lender issues treasury bills twice a month to assist the Federal Government fund its budget deficit and also help commercial banks in managing liquidity and curb inflation. Data released last week by the National Bureau of Statistics (NBS) said inflation eased further to 16.01 percent in August 2017 from 16.05 percent a month earlier.